Heat oven to 350°F. 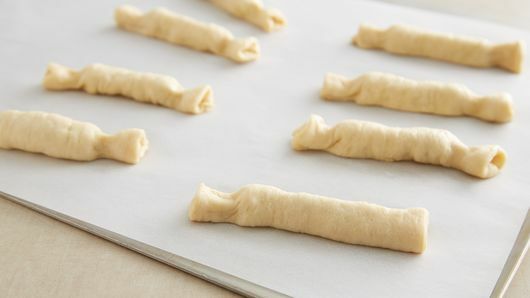 If using crescent rolls, unroll dough on work surface, and separate into 2 large rectangles. Overlap long sides to form 13x7-inch rectangle; firmly press edges and perforations to seal. 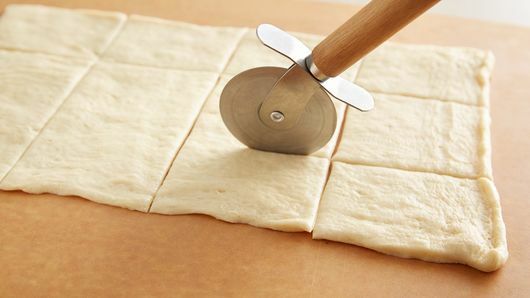 (If using dough sheet, unroll dough on work surface.) Cut in half lengthwise with pizza cutter, then cut crosswise across both halves, making 12 smaller (about 3 1/2x2 inch) rectangles. Sprinkle 1/2 teaspoon mini chocolate chips in center of each small rectangle. Pull the 2 long sides together, and pinch to seal. 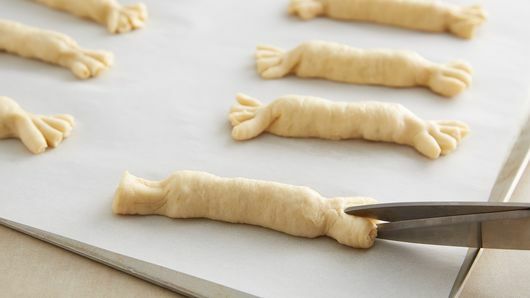 Pinch each end about 1/2 inch from edges to seal dough. Place seam side down. Cut each end 3 times with kitchen scissors to form a fringe. 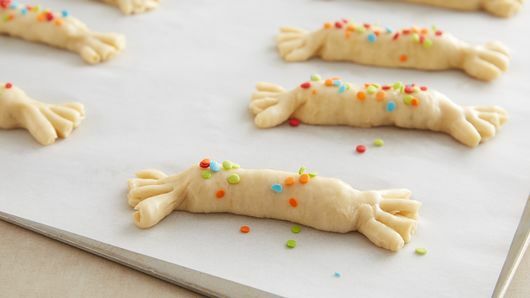 Brush dough with melted butter, then sprinkle with candy sprinkles. Bake 10 to 12 minutes or until golden brown. Once poppers cool, cut fruit-flavored snacks into 24 strips, and tie around both ends of each popper. 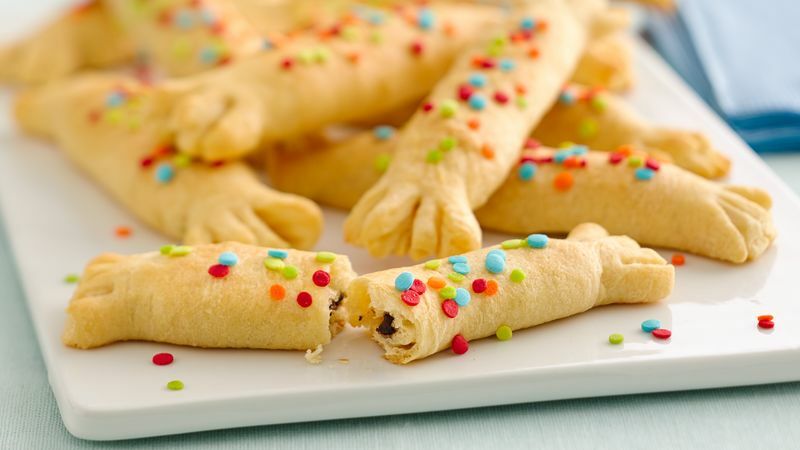 To make these a little more chic and adult-friendly, skip the fruit-flavored snacks and opt for silver or gold sprinkles instead of the multicolored kind. 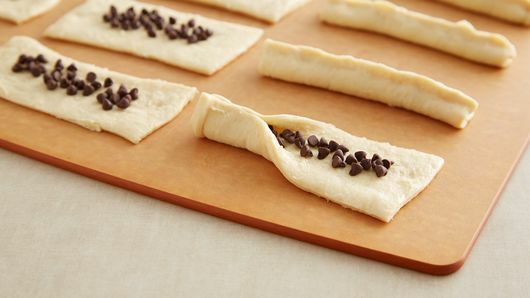 Don't have mini chocolate chips? Fill each popper with 1/2 teaspoon chocolate hazelnut spread instead.